Have been eyeing this Japanese Restaurant at Danga Bay for a while and finally we got the chance to visit it on a random Saturday for lunch. 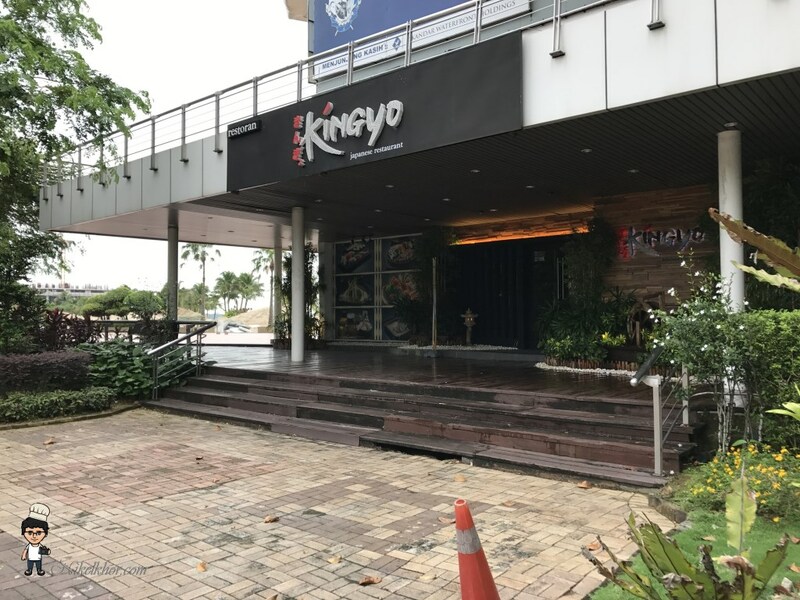 Kingyo is the name of this Japanese Restaurant, located just next to the beach. However, due to the ongoing construction in the vicinity, we are unable to enjoy the beach view. 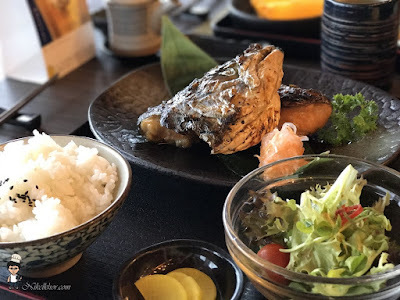 The serenity environment and cozy interior design inside the restaurant still able to compensate the shortcoming of beach view. Danga Bay is not crowded at all during daytime, so during our visit, the restaurant has only a few patrons. Despite no crowd, we were told that 20 minutes are required for the foods to be served. Actually we waited for 30 minutes instead, but the waiter was very thoughtful to keep refilling our cups with hot green tea. We are pleased by the presentation of the set meal and its taste did not disappoint us. The portion of food was quite decent. 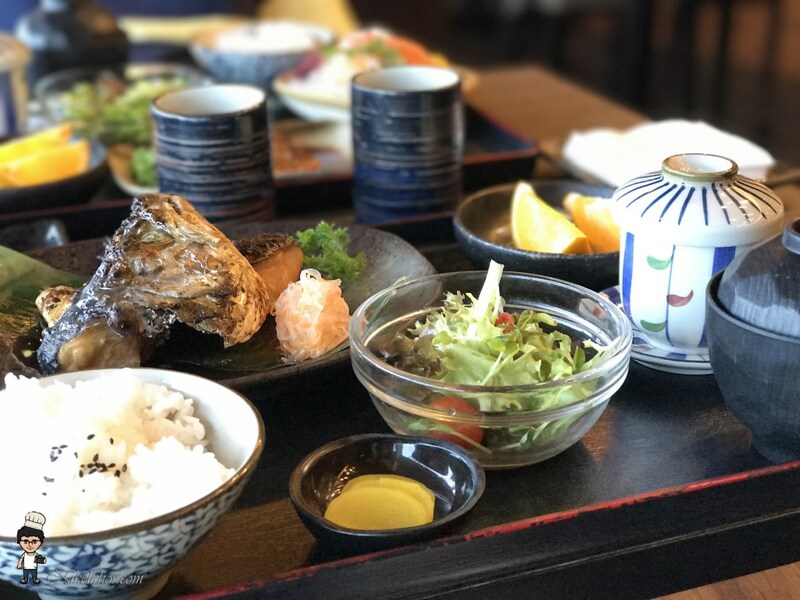 The grilled salmon cheek came with a salad, chawanmushi, soup, fruits and pickles, a very complete combination. 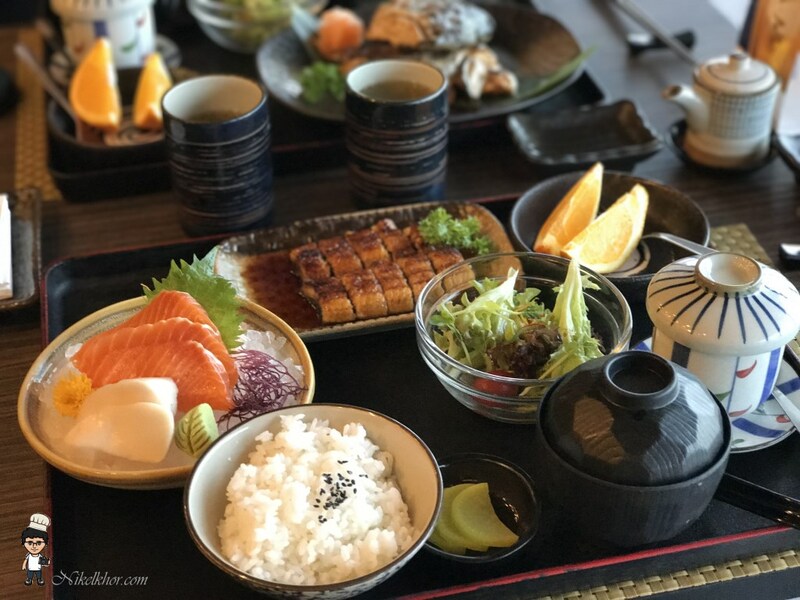 This set meal is perfect for me, a lover of unagi and sashimi, all of them are on the same tray. Kingyo is famous with its sashimi, and it definitely deserves the reputation. 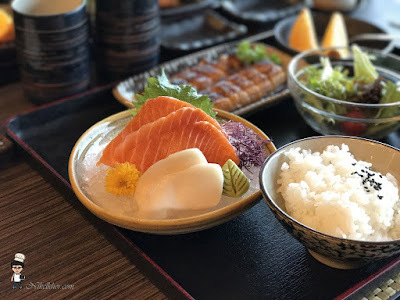 The sashimi were very fresh and solid. The sashimi were in very thick cut and 5 pieces of them were more than enough to satisfy my craving. 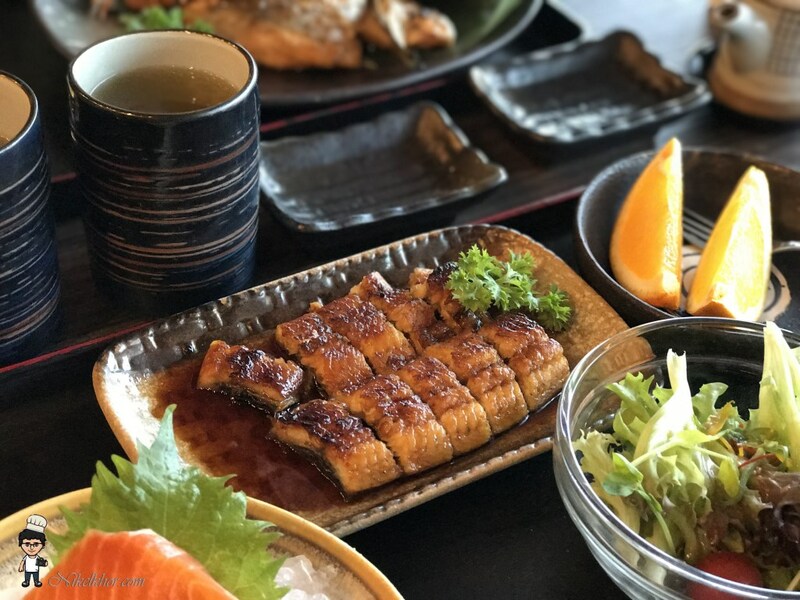 Last but not least, the grilled unagi. 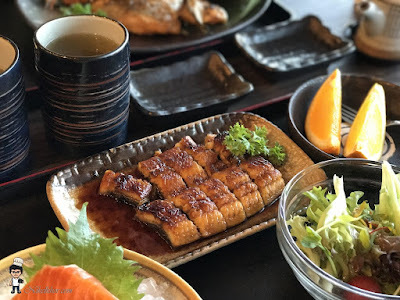 I like this very much as it does not carry the fish smell and despite the teriyaki sauce, I can still taste the sweetness from the unagi. I would say the portion is proportionate to its price, if you are not a big eater, this set can actually cater for two. I will definitely re-visit Kingyo for its high quality food. Although Nasi Lemak is one of the most popular food among Malaysian, it is definitely adventurous to specialise and sell only Nasi Lemak in a restaurant. Yummy Nasi Lemak House has taken the challenge by offering Nasi Lemak and Mee Siam only as its main courses. Their menu has only 2 pages, featuring Nasi Lemak and Mee Siam with different side dishes, i.e. fried chicken, rendang chicken and rendang mutton. Other than the main course, they have various nyonya kuih-muih displayed at the counter, good to be served as breakfast or high tea snacks. While waiting for the Nasi Lemak to be served, patrons can also try their otak-otak. 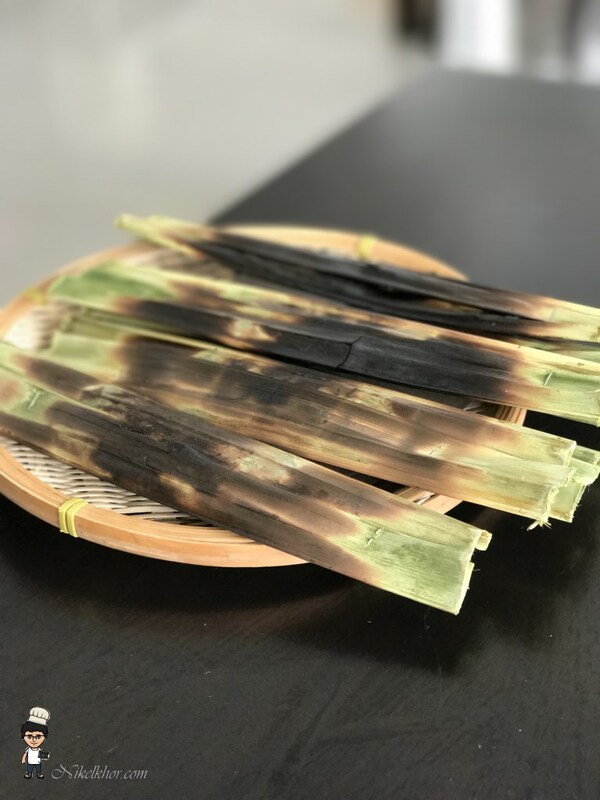 I actually like its otak-otak very much, as it is made of real fish and we can still see and taste the texture of fish flesh. It is not too spicy and just right to my taste. 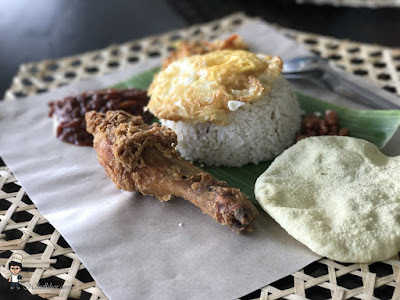 Nasi Lemak Ayam Goreng is their signature dish. To ensure the freshness and crunchiness of the fried chicken, the restaurant will not pre-fry too many chicken in advance. So if you are ordering more than 3 sets of Nasi Lemak Ayam Goreng, you might need to wait for 10-15 minutes for the chicken to be fried. The fried chicken is marinated well and because it was served hot, the outer layer was very crispy but remained moist and juicy in the inside. The oil temperature was controlled well too, so the fried chicken is not oily at all. The Ayam Rendang matched well with Nasi Lemak too, the rempah was not too pungent. I would prefer it to be with slightly more gravy. 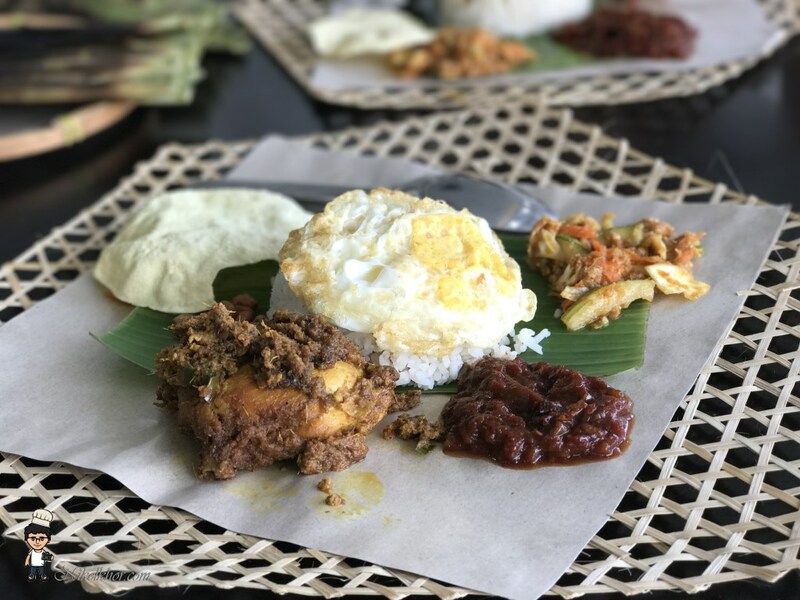 Instead of sliced cucumber, the Nasi Lemak is complemented with achar, which makes the Nasi Lemak less sinful and more appetizing. Papadam (which normally being served with Nasi Briyani) is also made as a side dish here, to add different texture to the dish. The combination is slightly new but perfectly matched.